Clothing factories were among the many manufacturing industries that became established in Christchurch. 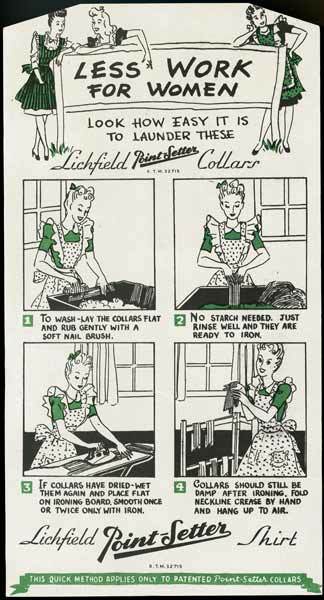 The Lichfield shirt factory (in Lichfield Street) began in 1916, supplying the armed forces. It soon became well-known for its classic white business shirts, and is still one of the best-known New Zealand brands. This advertisement dates from the 1950s.